Put a quad bike, ATV, a mountain bike and a go-cart in a blender and the result would be the Boma 7. The chair was named after the 1980’s Raleigh Bomber bicycle and unlike some, this chair is a ‘No Compromise’ design that does not pretend to be a jack of all trades, it was designed specifically for serious off-road use and thats exactly where it excels – Using the Boma 7 chair is a very unique and exciting experience. If you are a conventional wheelchair user you can access the Boma seat by sliding transfer; simply remove the handlebar release, bring your chair right next to the seat and slide across. It is often easier getting into a Boma than into a car! Hoisted transfers can also be made quickly and easily as there are no frame obstructions. Once in the Boma you will feel very secure between the rear wheels, and the long low centre of gravity seating position is extremely comfortable. You will get a great feeling of being in the environment thanks to the open handlebars or joy stick setups. Riding in the local park, forest or on the beach, the feeling of freedom is truly exhilarating and we should also mention that NO chair attracts admiration and attention like the Boma! Magic Mobility Ltd has proven results for sourcing and promoting innovative and cutting edge mobility products. Please call Phil on 07733 438555 to find out more about this amazing machine or to book a demonstration. We operate a strictly no hard sell policy and no reps will call you. 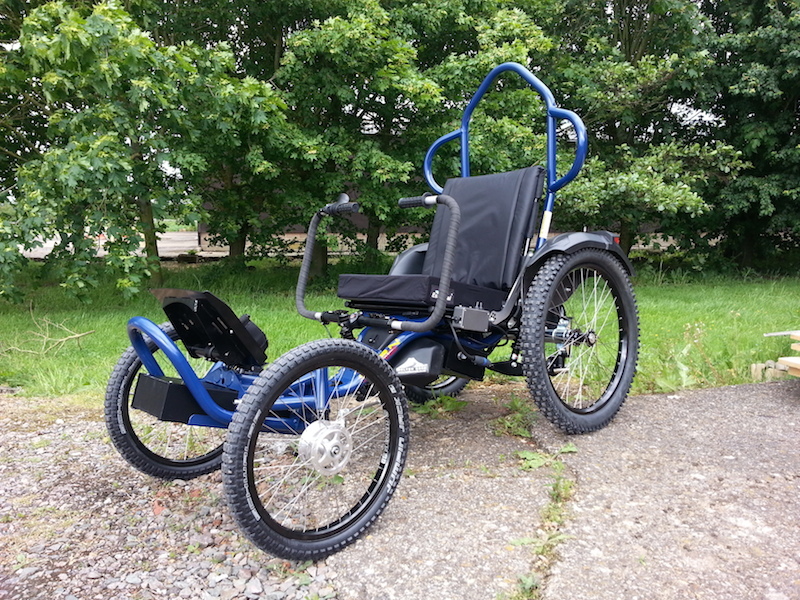 To ride the Boma 7 you will need some strength in your arms for the handlebar model in order to steer, or for the joystick model you will need to be able to operate a small controller device much the same as a standard electrically powered wheelchair. The Boma 7 comes in one standard size (seat base 17×17″/ 42x42cm). However, the controls, seating and footplate are fully adjustable, this allows the the Boma 7 to be enjoyed by riders of different ages and heights (from 4ft. to 6’6ft.). 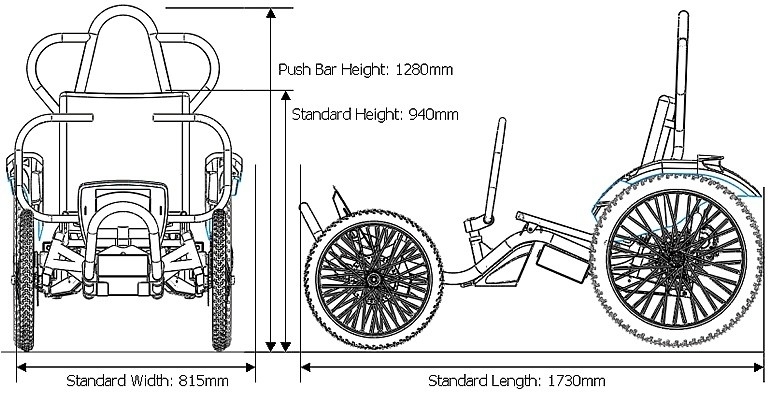 The maximum user weight for the Boma 7 is 110kg. 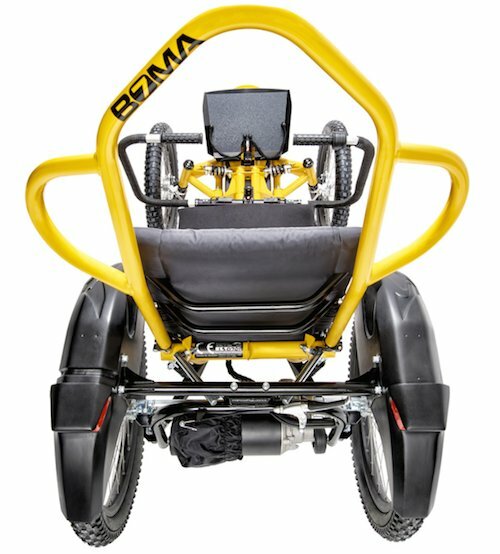 The Boma 7 is available with many options, from an effective lighting kit allowing use in the dark, to a full Bobcat trailer which can carry a child, your pet, even supplies or spare batteries for that extra long journey. There are is a choice of colours as standard but your own custom colours are available as an optional extra. Customised seating as well as footrests are designed around you so you can be sure of a perfect comfortable fit. The Boma 7 can be programmed to your driving style so you cant exceed your limits. 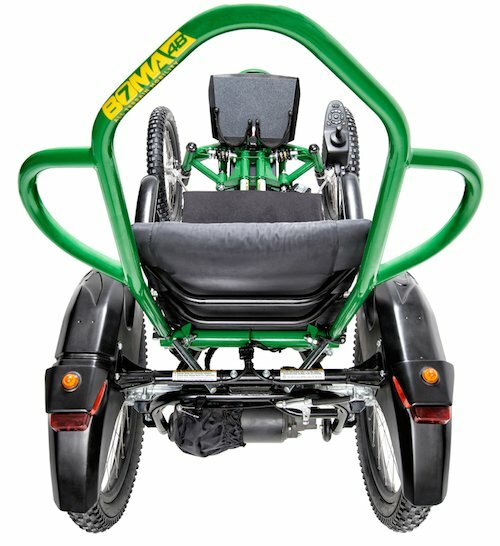 Once the seat has been folded down and the handlebars removed, the Boma 7 can be easily pushed or driven into a vehicle. 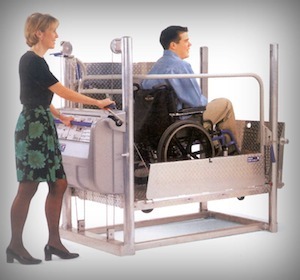 Space-saving lightweight ramps can be supplied that simply rest onto the vehicle. 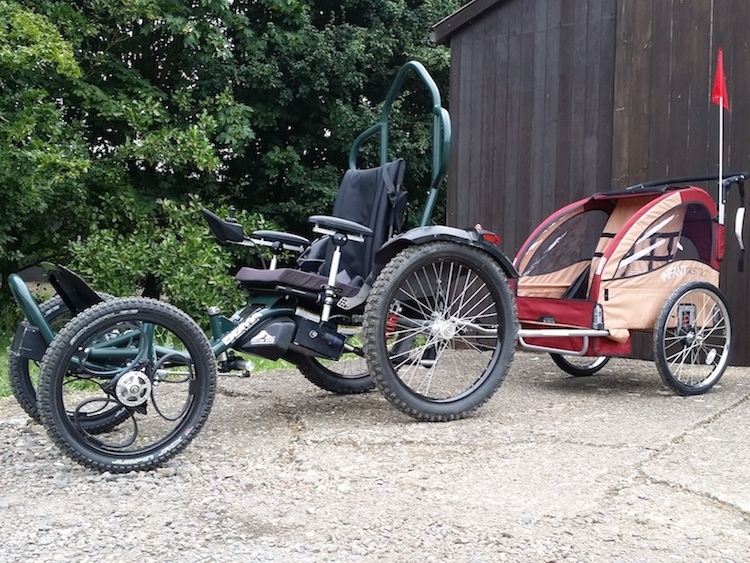 Another option is the WAV (Wheelchair Accessible Vehicle) and of course a small open or enclosed trailer can be used. 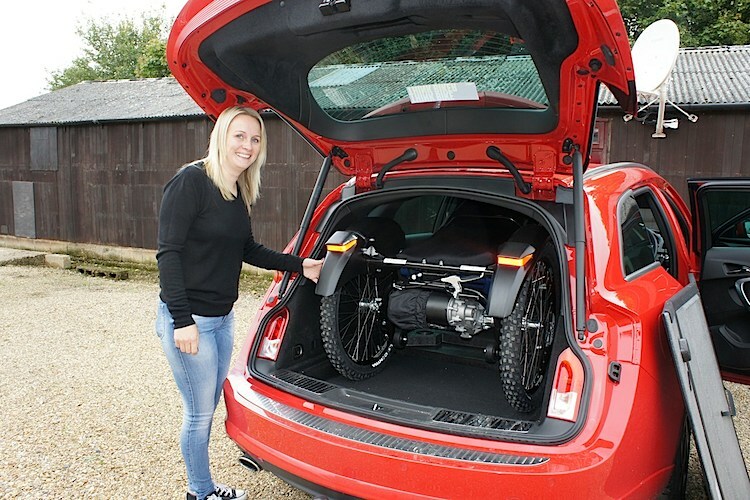 A Boma 7 will fit into the back of many estate cars with the rear seats folded down (Our example picture shows a vauxhall Astra estate) or most MPVs and Range Rovers or similar. No major disassembly is needed. Boma7 was was a vision created by Chris Swift, who following a neurological illness became tetraplagic in 1995. 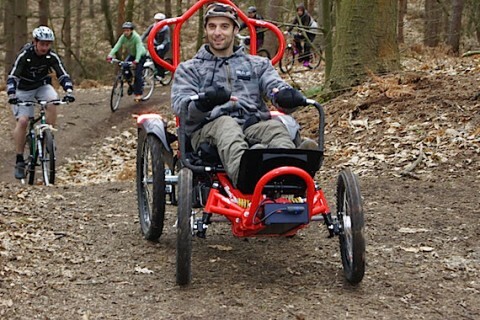 As a qualified engineer with a mission to get back outdoors with no limits, Chris and his friend Jon Anders joined forces and developed the Boma Off Road Wheelchair. 21 years on and Chris is now joined by a small but very dedicated team of qualified engineers and customer service staff at Molten Rock. A pioneer in the field of off-road mobility, Chris always remains committed to developing desirable, high quality products that embody the adventurous outdoor spirit. Chris is proud to have assisted so many people to get back outdoors, to enjoy taking their children to the park, walking their dogs and succeeding in amazing expeditions. 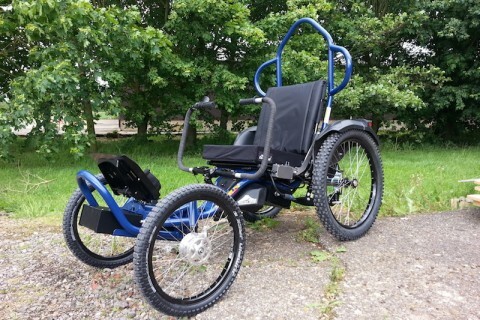 With Chris’ help, Magic Mobility Ltd look forward to supporting more wheelchair users in achieving their aspirations. Regretfully in 2017 Molten Rock was forced to close its doors and went into liquidation. 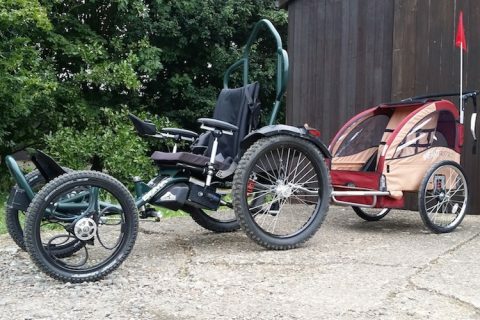 Thankfully though a new manufacturer has now taken over and the Boma 7 is back in full swing. 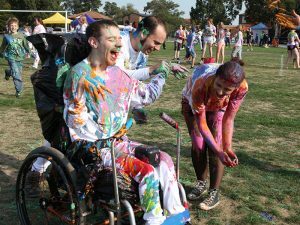 As with any mobility device we always recommend taking out specialist wheelchair insurance. This will protect you in the event of an accident involving other people or their property. Magic Mobility Ltd who are covered by the FCA, have teamed up with Surewise to provide the best level of cover stating at just £4.40 per month. Get a quote now..